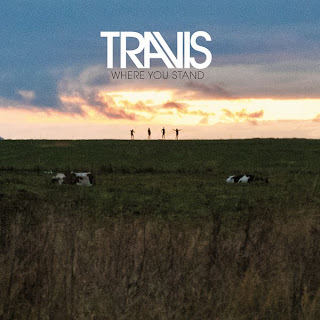 Atlas and the Anchor: Travis - "Where You Stand"
Feeling refreshed and renewed after a five year hiatus, the Scottish Brit-pop vets, Travis return with their long-awaited new album, Where You Stand. Out today via their own re-launched Red Telephone Box label, the new album also finds them returning to their cinematic and catchy, The Man Who-form for their best album in years. “Mother” opens the album with ringing piano notes and the same effortless and anthemic charm of their earlier releases. The upbeat single, “Moving” follows with a rumbling, almost New Wave-like rhythm to go along with its soaring chorus and chiming guitars for a standout moment. “Reminder” features an instantly catchy whistled melody and a thumping, bass drum-led rhythm and the emotionally churning title track, “Where You Stand” is highlighted by Fran Healy’s heart-tugging vocal melodies and cascading guitars. As a change of pace, “Warning Sign” rocks out with a bluesy grit and an off-kilter yet head-nodding beat. The elastic guitars and sing-along chorus of “Another Guy” provides another standout moment. “A Different Room” is built upon twinkling guitars, a pretty strings section and a cloud-scraping chorus, offering up more of their trademark sweet sentiment in spades. Next, “New Shoes” features a propulsive beat and outbursts of strange noises that complement the moody melodies. The sunlit jangle of “On My Wall” also stands out with an infectious chorus that feels like classic Travis. The piano-led balladry of “Boxes” is outfitted with a choppy electronic beat and bittersweet yet gorgeous melody. The eleven-track album closes out with wistful, wide-screen melodies of “The Big Screen”. 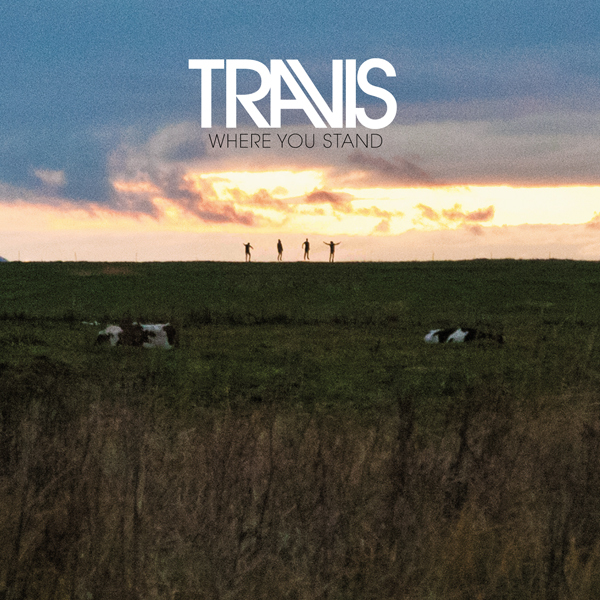 Travis has proved with their excellent new album, Where You Stand, that sometimes absence makes the heart grow fonder. I just hope we don’t have to wait as long next time for more new music from the band. This is great. I love Travis. Didn't know they were still around. 5 years. Wow. Like you said, hope we don't have to wait another 5!